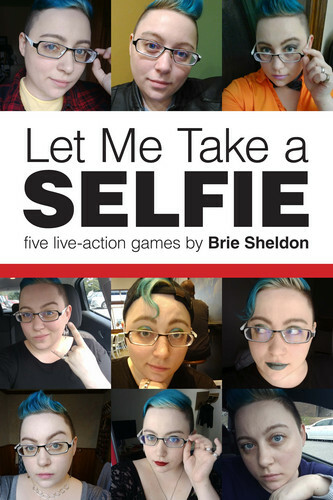 Let Me Take A Selfie is a collection of games using selfies to tell stories and explore emotions alone and with others. Selfies are a way we present ourselves to the world as we want to be seen. LMTAS explores relationships, crises, and fiction. 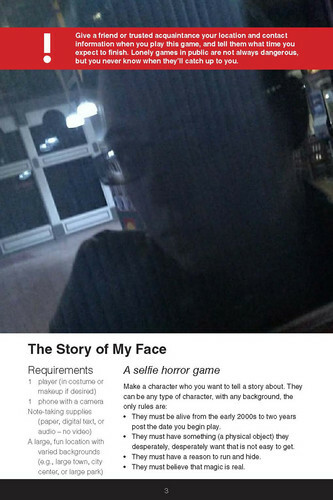 All games require phones with cameras and text messaging. Who Made Me Smile? 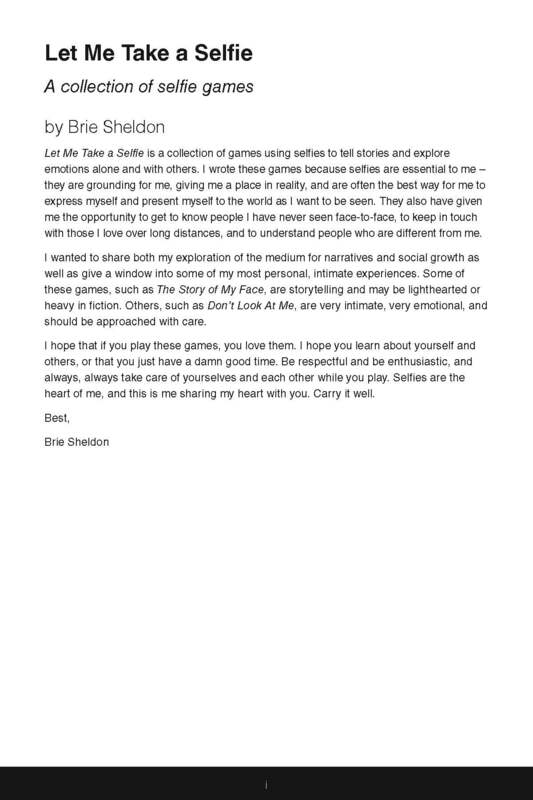 is a four player game where players write stories and share selfies to connect and understand each others' emotions. 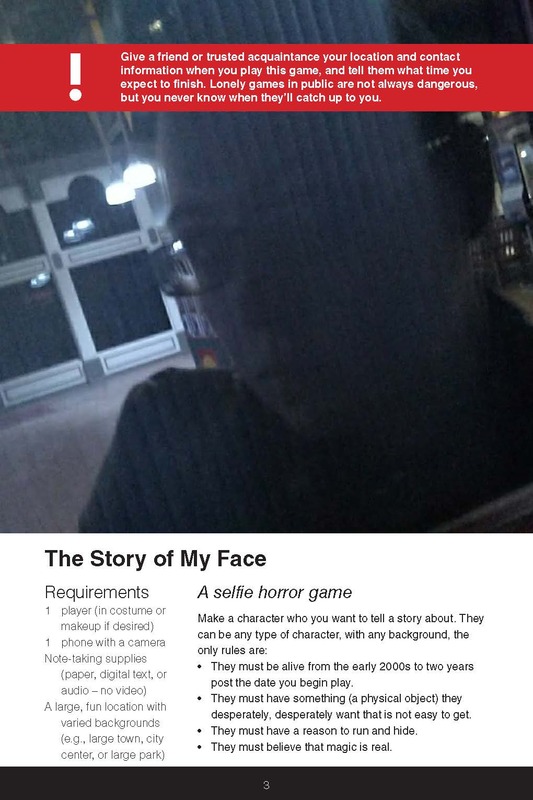 The Story of My Face is a single player horror game where you tell your own story and create your own monsters while recording your adventure. Now You Don't is a multiplayer, GMless game where one player is the target of the experience and many others join them in a party that would be much less interesting if the one player wasn't invisible. 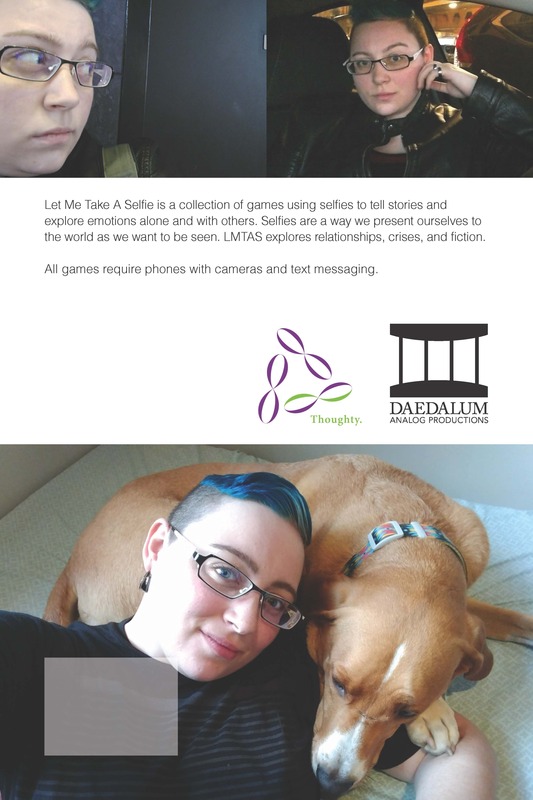 Don't Look at Me is a two-player game where players are a couple separated by long distance, one who is ill and one who is in danger, who must weather the obstacles before them with limited time to communicate. Literally, I Can't is an exercise in competence where players must respond to small crises during a big crisis by demonstrating their competence in selfies and getting the job done.